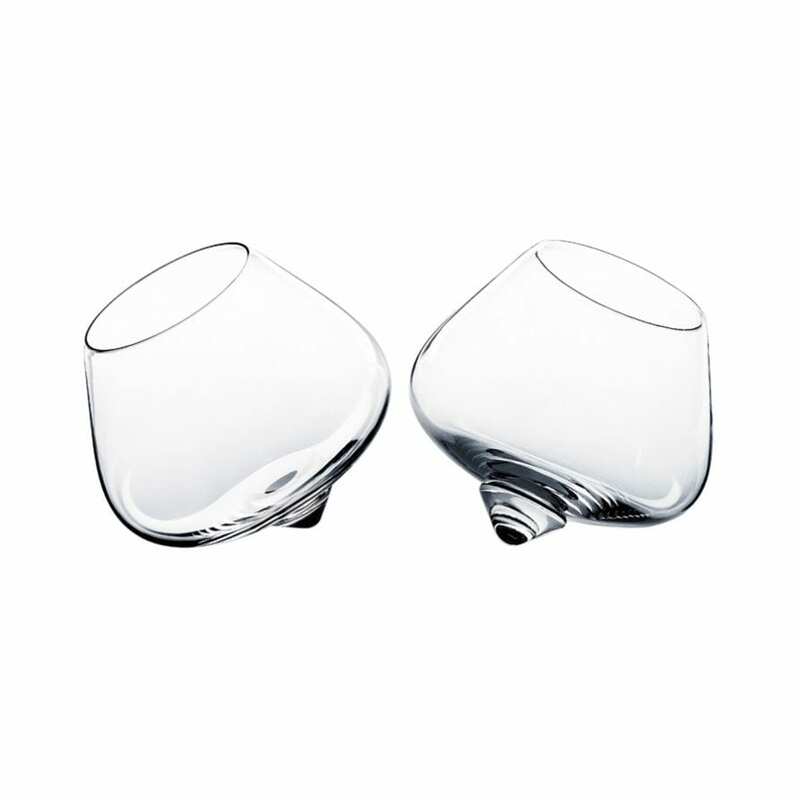 A uniquely designed glass made to enhance the deep colour and liquid movement of cognac. 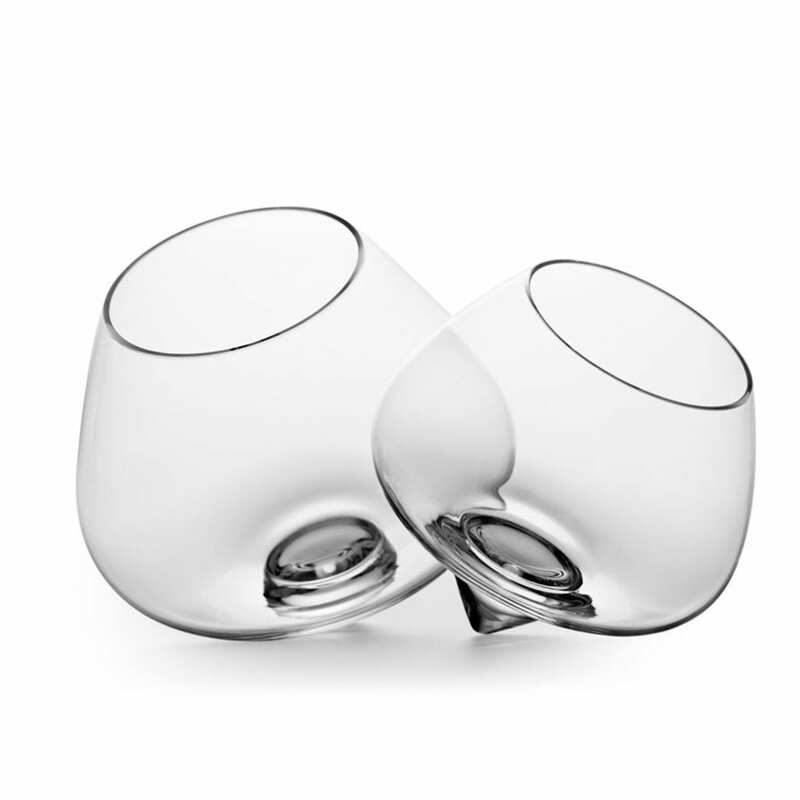 Place on the table and watch as the glass gently turns, exposing the fine aromas. Comes as a set of 2.